The Last Song is based on the novel by bestseller Nicholas Sparks, who has seen several of his novels turned into film (Message in a Bottle, A Walk to Remember, The Notebook, and Nights in Rodanthe.) The Last Song is set in a small Southern beach town where an estranged father (GREG KINNEAR) gets a chance to spend the summer with his reluctant teenaged daughter (MILEY CYRUS), who’d rather be home in New York. He tries to reconnect with her through the only thing they have in common-music-in a story of family, friendship, secrets and salvation, along with first loves and second chances. The film is directed by Julie Anne Robinson from a screenplay by Sparks and Jeff Van Wie. The Last Song became the first movie to be shot and set in Tybee Island. However, some scenes were shot at the Georgia Aquarium. At the premiere there was a Tybee Island representative, PR people from Star 94 and a the owner of the chapel that appears in the movie that has been turned into a wedding destination. 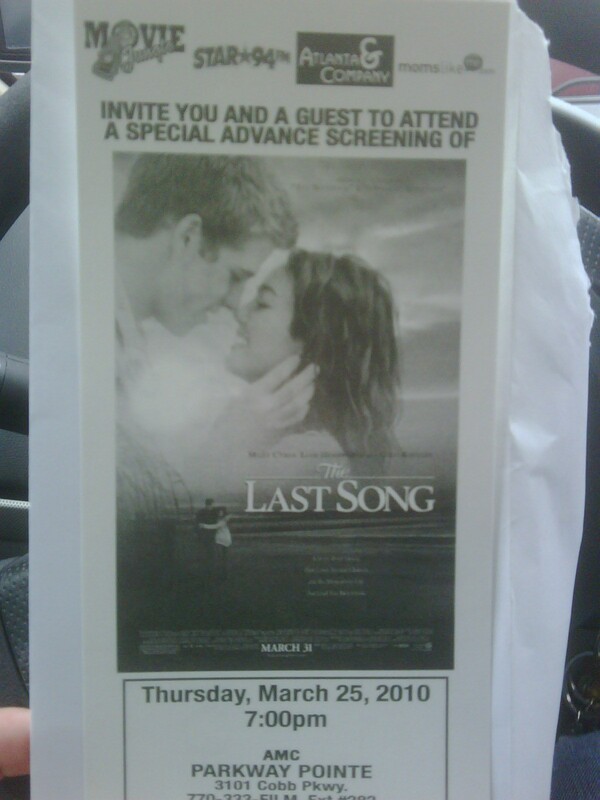 Overall, "The Last Song" is your typical Nicholas Spark love story and tear jerker. 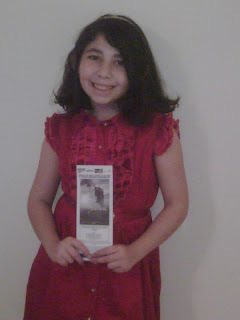 I fond it very odd having a college girl crying on one side and my 9 y/o laughing and gushing on the other side. I was conflicted the entire movie. I didn't know if I should cry, laugh or gush so I ended doing all three haha. Besides the story what I enjoyed the most about the movie was watching all the beautiful scenes filmed around the island. It reminded me so much of my first trip to Savannah. If you haven't been able to visit this amazing island you will after watching this movie. The Last Songs opens March 31st in a theater near you. I give this movie 3 and 3 quarters stars out of 5 for family friendliness. I'm wanting to see this...It's sounding pretty good!